“Where are your tanks?” “What is that thing you’re wearing?” “Is that some kind of Alien Suit?” All things I’ve heard from divers, eyeing my “side mount” gear, who haven’t investigated the world of technical diving yet. Sidemount is such an amazing tool, making a huge presence within the cave community and serious wreck divers alike. 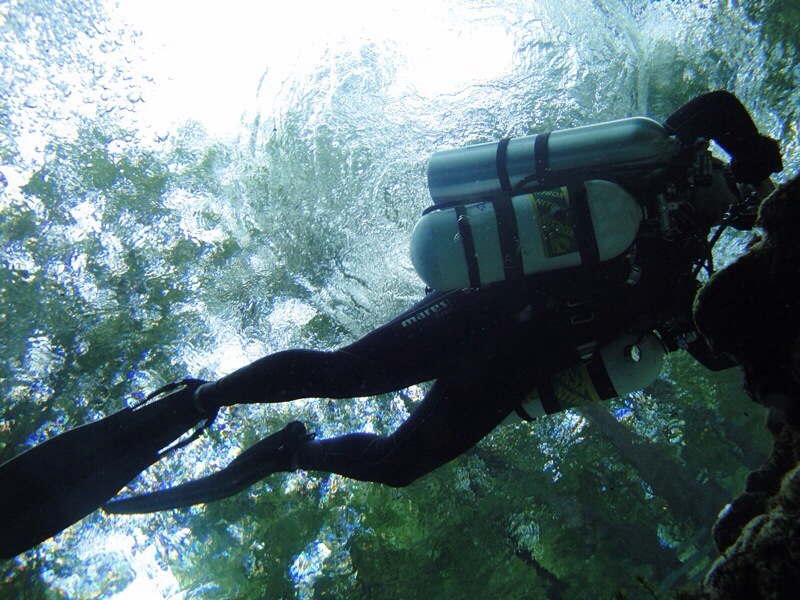 Due to its profile, sidemount makes it easier to penetrate areas that back mount divers can’t get through. It’s also great way to carry bailout on a rebreather or your deco and stage bottles while diving doubles. Did I mention it's easier on the back and carrying tanks to and from a dive site or boat? It hasn’t become mainstream for recreational diving quite yet, but it’s getting closer everyday with many agencies offering Open Water Sidemount Programs, including IANTD. I started sidemounting in 2011 after taking my Cavern Course. The big LP tank with an H-valve wasn’t going to cut it anymore with Intro to Cave and Advanced Nitrox coming up soon. Over the past few years I’ve discovered what an asset I have diving sidemount. From one tank reef dives in the Bahamas, to four or five tank Trimix dives in some of the deepest caves in Florida, I’ve discovered my favorite way to dive. Whether you’re a recreational diver or an expert technical diver, sidemount has something for everyone and is worth exploring if you haven’t already.